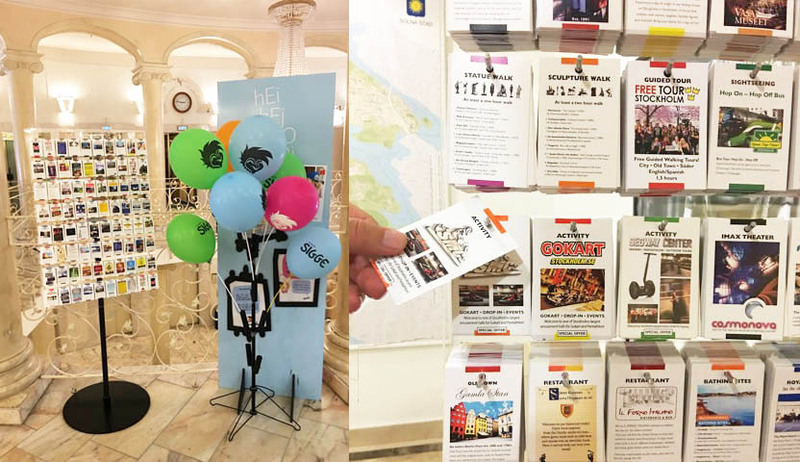 We work every month with current and new advertisers that is seeking visibility to get attention from tourists/ visitors that arrive to Stockholm, Oslo and Gothenburg everyday. All our clients we have today, have choosen Minicards on avarage for 3-5 years in a row. We work every week with expanding the market and refilling advertisers cards and have room for a total of 160 annually positions. The largest expansion since our launch 2012-2013 have started. The growth is set for 30-40% more display locations (hotels) in each city (compared today), this will ensure our advertisers a unique visibility with high rate of picked cards from tourists/ visitors. Request advertising information today and receive Minicards information about the function, performance and prices in your city.